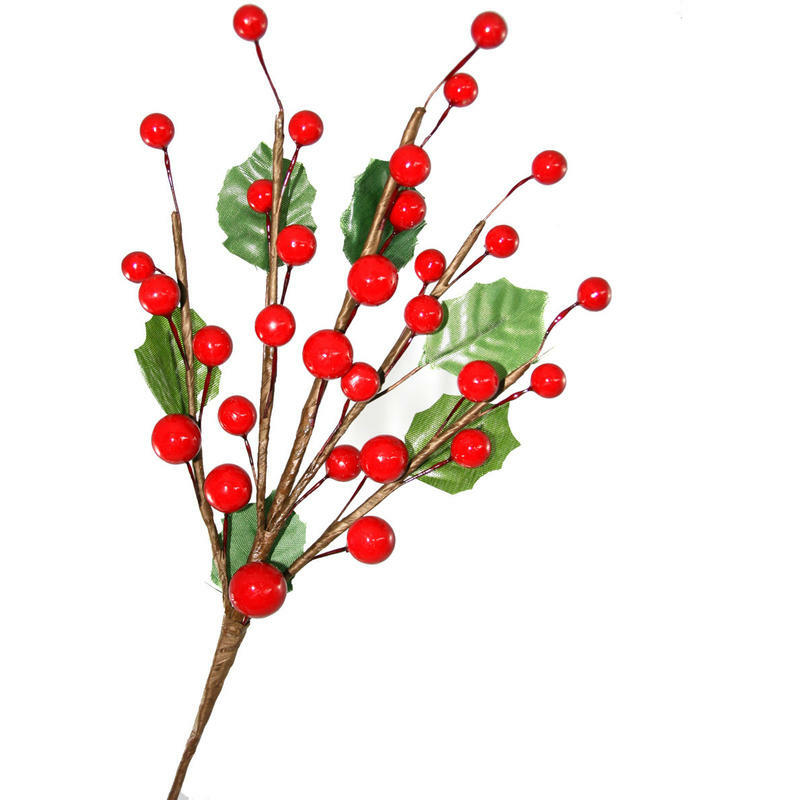 The 38cm Holly Branch is a great item to keep on hand for accenting many displays during the holidays. 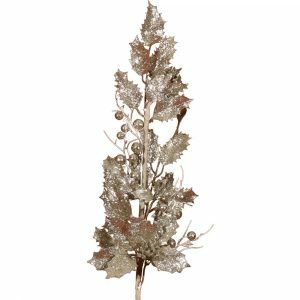 The brown wrapped stem is flexible and will bend to fit wherever you want to add some colour and festive flair. Each stem is secured to a cluster of rich, red berries and dark, green leaves. 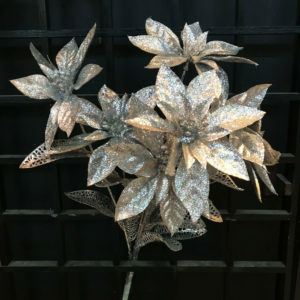 These would elevate your simple holiday tree into something magnificent- just tuck a few stems in and around your tree’s boughs and accentuate with some pure-white lights. 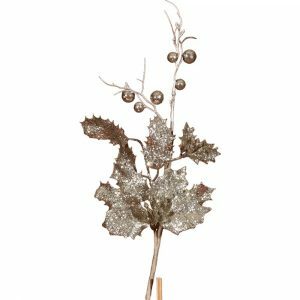 Each pick could be added to a simple bouquet or swag of greens to create a Christmas-themed centrepiece. These would also be a wonderfully quaint and traditional finishing touch to a simply-wrapped gift. Consider wrapping in brown paper or white tissue, and tucking this lovely spray under the ribbon, securing to the bow. Beautiful!